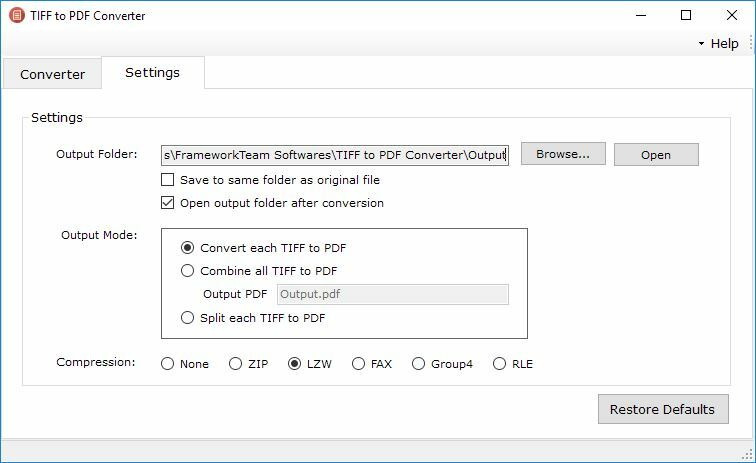 How to Split TIFF into PDF in Windows? How do I split TIFF into PDF document? TIFF is best for any bitmap images that you intend to edit. TIFF images do not compress to make for smaller files, because they are meant to preserve quality. They offer options to use tags, layers, and transparency and are compatible with image manipulation tools. If you are looking for a small file or a web friendly format, TIFF is not recommended. Using our tool, it’s possible to split multipage TIFF and create single page PDF document. 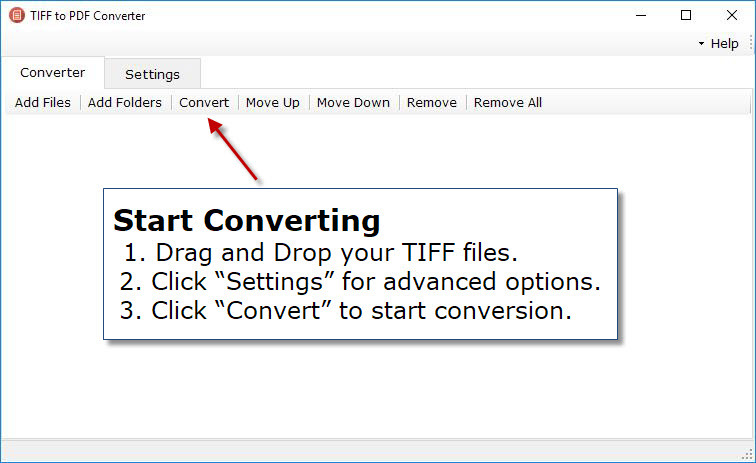 Download TIFF to PDF Converter and install it on your computer. A full version of the program is available free for 15 days. Run the application, you can see the above screen. 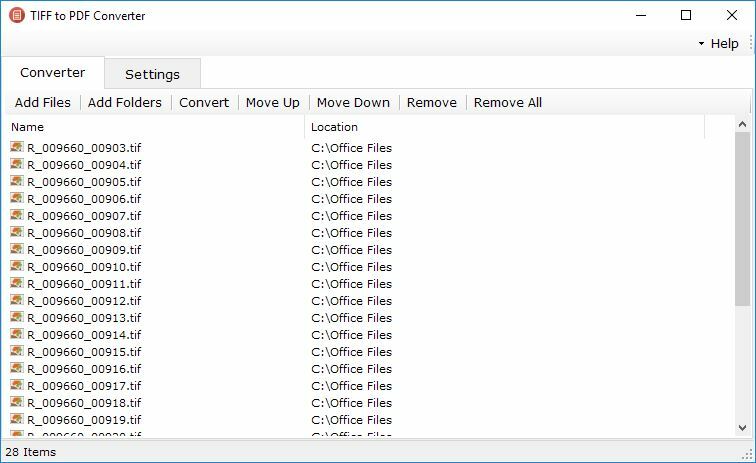 Click on “Add Files” or “Add Folders” to add TIFF files to the conversion list. You can also drag and drop files and folders from Windows Explorer. After adding TIFF images for conversion, change the settings "Output Mode" as “Split each TIFF to PDF”. Now click “Convert” button to begin the batch conversion process. All your output PDF documents will appear in the output folder you have selected.